Leveraging our machining capabilities, Preci also manufactures close tolerance high-strength critical fasteners. We hot form the heads, roll thread after heat treat, then cold work the fillets for extra strength and ductility. Our fasteners are used on military and commercial aircraft in applications requiring precision, strength and reliability. 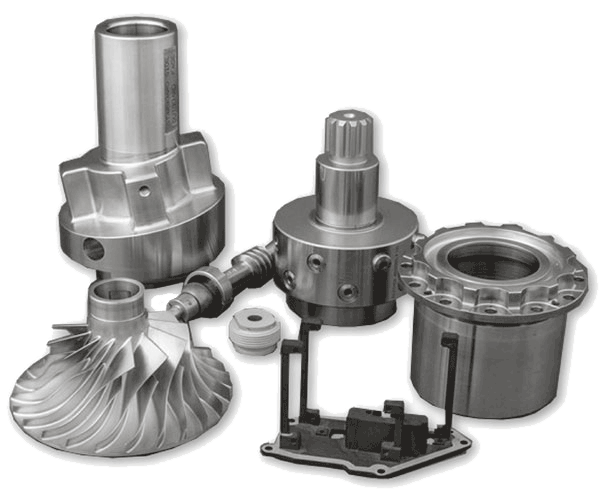 It is our goal to be a leading provider of precision manufacturing and assembly services. To achieve this goal, we offer complete service and support from design and engineering through production and quality assurance. In turning we can hold +/- 0.0002", milling/boring as tight as 0.0001", and flat lapping to ½ helium light band (0.0000055"). We do our best work in the superalloys like Inconel, Hastelloy, Waspaloy and MP-35N. We also offer complete reverse engineering options using CAD and CMM technologies. Our highly-trained staff of engineers is uniquely equipped to support your product design and manufacturing needs. We work hard to identify and advise on the optimal process to ensure the most favorable production costs and manufacturing repeatability. We understand the intricacies of precision engineering and production in the manufacturing process. That's why we've worked to achieve and maintain certification in AS9100 and ISO9001. We train and empower each of our machinists and QA specialists to focus on the details and ensure unsurpassed quality in every part we manufacture and assemble. Thanks to our unique experience and skills, we are able to produce a wide variety of items for a diverse customer base that covers multiple industries. If you need guaranteed production from an experienced and fully certified precision manufacturer, we’d appreciate an opportunity to speak with you. We feel confident that we can be the subcontract manufacturing services partner you've been searching for. Request a quote today – call (888) 655-1245 or (802) 655-2414. Or, complete our quote request form. © Preci-Manufacturing, Inc. 2018. All rights reserved.